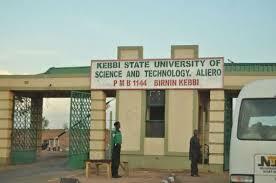 Kebbi State University of Science and Technology, Aliero, KSUSTA Shuts Down Bed Space Allocation of Hostel Accommodation Portal for 2018/2019 Academic Session. This is to notify all Undergraduate Students of the Kebbi State University of Science and Technology, Aliero that the Bed Space Allocation of Hostel Accommodation for the 2018/2019 Academic Session is closed. Students are advice NOT to pay for any Hostel Accommodation and also any student with receipt of payment cannot be entertained.